You are here: Home / Polonia Centre (Windsor) Inc.
Polonia Centre (Windsor) Inc. is a Non Profit Organization for the Province of Ontario participating in cultural, educational and charitable events in and for the Polish Community of Windsor. Polonia Centre (Windsor) Inc. also provides financial contributions to various not-for-profit organizations within the Polish and the Canadian Community. Upon the request of Msgr. Lawrence Wnuk, a general meeting of the Polish Community of Windsor was held at Dom Polski Hall on May 06, 1973. 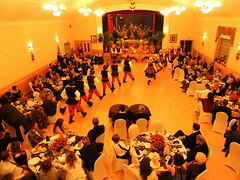 A newly elected Board of Directors were mandated to build a cultural and recreational centre for the Polish Community. Msgr. Lawrence Wnuk served as the spiritual leader for the Board and Mr. John Partyka, a local Real Estate Developer of Polish descent became the Consultant for the upcoming project. The Board’s first effort was geared towards acquiring the 32 acre property of St. Mary’s Academy intending to turn it into a Community Centre and Senior Citizens apartment complex. While the plans for the purchase of St. Mary’s did not materialize, the Board reworked and relocated the original concept, thus laying the groundwork for the development of Polonia Park, an apartment and townhouse complex valued at 13.5 million dollars. Flowing from the success of the on-going development of the Polonia Park project, the dedicated and enthusiastic volunteers involved in that project turned their attention to the development of a social, recreational, and cultural complex for the Polish Community. On November 22, 1978, Polonia Centre (Windsor) Inc. was officially incorporated as a Non Profit Organization for the Province of Ontario. The Founding Members listed in the application for Letters Patent were: Mitch Puklicz, Tadeusz Polewski, Wiktor Bas, John Stanley Partyka, Jan Zygmunt Armata, Henry Klamut, Joseph Partyka, Witold Polewski, Tadeusz Gajewski, and Stanislaw Niec. The mandate of the Organization was to participate in cultural, educational and charitable events in and for the Polish Community of Windsor as well as to provide financial contributions to various not-for-profit organizations within the Polish and the Canadian Community. In 1984, Polonia Centre (Windsor) Inc. was granted status as a Non Profit Charitable Organization. Land consisting of 5.08 acres at the corner of Lauzon Parkway and Forest Glade Drive was purchased in February 1984. The Groundbreaking Ceremony for the Cultural Centre was held on August 24, 1984 with Federal, Provincial and Local dignitaries as well as members of the Polish Community in attendance. The cost of the project was 5.2 million dollars. Funding for the Centre was obtained from a grant under the Federal-Provincial NEED Program, a Provincial Wintario grant and a loan through the National Bank of Canada. The Polish Community also raised funds through Bingos and Las Vegas Casino Nights and other fund raising events. With the sale of debentures, the total funds raised by the Polish Community topped $600,000. The Centre’s official opening and dedication by His Excellency Bishop J.M. Sherlock was held on September 21, 1985. Unfortunately, the Cultural Centre was forced to close in January 1990. The financial obligations relating to the closure of the Cultural Centre totalled 1.5 million dollars including the Bank loan and debenture indebtedness. Due to the dedication, hard work and commitment of the Board during the difficult period between 1990 and 2000, all financial obligations were fulfilled in December 1998. This included the repayment of all debenture indebtedness. Our gratitude is extended to Mr. Richard Kusmierczyk who was President of the Board and all other Board Members during this period for their tireless effort and dedication to the Organization, and to all debenture holders for the support given to Polonia Centre. Polonia Centre (Windsor) Inc. operates with a 12 member Board of Directors. Mr. Gerald Koski has served as President since 2003. The Board members are divided into five Working Committees. Over the years, the Board has made wise real estate investments in Essex County and has established two profitable companies – PC Management Partners and Global Maintenance Company. PC Management Partners is a real estate management company that oversees the management of several real estate properties in Essex County as well as the Polonia Park Housing Complex and employs four full time staff members. Global Maintenance Company provides interior and exterior services on residential and commercial properties, provides maintenance services to the Polonia Park Housing Complex and obtains contracts from the Windsor community. A five member Board is headed by Mr. Christopher Kruba who serves as President. The new Global Maintenance office opened in 2003 and is located across from the office of Polonia Park. The company employs six full time staff members and hires sub-contractors as required. View the current Polonia Centre Organization Chart. One of the first donations made by Polonia Centre (Windsor) Inc. was for medicare in Poland in March 1981, followed by $3000 in December 1981 for the Polish Relief Fund and a $10,000 interest free loan to a local Polish Organization. All requests for monetary assistance from local organizations are reviewed and given due consideration by the Board of Directors. Since 2000, the steady flow of income from our business activities has allowed us to meet our mandate, financial goals and obligations. With donations nearing the $500,000 mark, we have continuously supported educational, cultural, sporting, humanitarian and religious efforts and will continue doing so to the best of our financial ability. Recipients of donations outside of the Polish community have been, among others, the Polish Olympic Committee, Flood Victims of Poland, and victims of the September 11 tragedy through the Salvation Army of Canada. We have also supported the fundraising efforts by Polish Alliance Branch 20 Windsor and the Ursuline Sisters of Windsor for orphanages in Poland and in Africa. 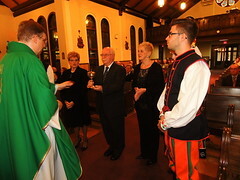 Over the years we have financially sponsored The Tatry Song and Dance Ensemble; Plomien Vocal and Theatrical Group; Polonia Sports Club; Polish School at Holy Trinity Church; “Wspolnota” newsletter published quarterly through Holy Trinity Church and the Canadian Polish Congress, Windsor-Chatham Branch. A $50,000 donation was made to the Holy Trinity Church Renovation Fund. Polonia Centre sponsored the 2003 Miss International Canada, Katarzyna Dziedzic, a member of our Polish Community and funded the choreographic training at the University of Lublin of Joanna Pogorzelski. The 16 x 20 ft projection screen in use at Dom Polski was donated by Polonia Centre and we have been a “platinum or gold” sponsor of all Polish Week in Windsor events since it’s inception in 2002. A Scholarship Fund was established in December 1981 to encourage and support young people of our Polish community in their pursuit of higher education. The first recipient was Greg Puklicz in 1983. We have since renamed the fund to The Polonia Centre Academic Awards Program and monetary awards are presented to successful candidates at the undergraduate and graduate levels during the Annual Evening of Excellence Dinner. 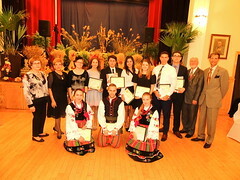 Polonia Centre (Windsor) Inc. has now awarded nearly $195,000 in academic awards to students of Polish descent. Since 2000, Polonia Centre (Windsor) Inc. has contributed $3500 annually towards the University of Windsor Leddy Library for the purchase of books written in the English language showcasing Polish history, culture, economy, politics and the contemporary life of Poland. There are over 230 books stamped “donated by Polonia Centre (Windsor) Inc” on the shelves of the Leddy Library. Two courses now offered at the University are using these books as a resource tool. The Windsor Public Library has received $500 to $1000 annually for the purchase of books and journals about Poland and printed in the Polish and English language, thus ensuring that reading material about Poland, and by Polish authors is available to the Windsor community as a whole. 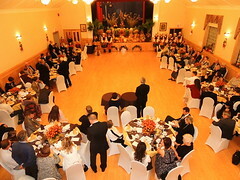 The Cultural Committee of Polonia Centre (Windsor) Inc. was formed in September 1985 and organizes or co-organizes many of the cultural and entertainment events in our Polish community. Board Member Barbara Koczwara has been the Chairman of this Committee since 1988. The committee has worked with Polish Impresarios in Canada and the United States to bring cultural and entertainment events such as movies, musical groups, Polish artists, exhibitions and book sales to Windsor. They uphold Polish Traditions such as “Dozynki”, “Sobotki” and “Paczki Day”. 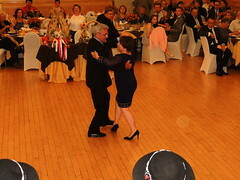 The Committee has organized fundraising dances, the Polonia Centre picnic at the beach and an Annual Christmas Party. 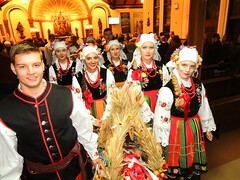 The Tatry Song and Dance Ensemble are officially under the umbrella of Holy Trinity Church, however, the Cultural Committee has served as the Administrators of Tatry since 1989. The Committee has ensured that the Polish Community is represented at the Annual Canada Day Parade and at festivals in the Windsor and surrounding areas. 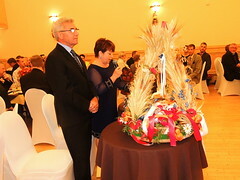 The Committee assists in scheduling the entertainment at the Annual three day festival, “Carrousel of the Nation’s – Polish Village”. The Committee also organizes the Evening of Excellence Awards Dinner which recognizes the achievements of our graduating Polish Youth and the contributions of volunteers in our community. 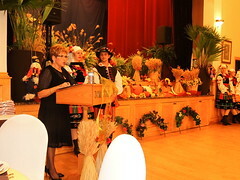 The Committee has participated in all of the Polish Week in Windsor Events and was actively involved in various exhibitions in the community including the “Graphica Polska” exhibit at MacKenzie Hall in 1999 and the 20th Anniversary of the Solidarity Movement exhibit at the Windsor Main Library in 2000. In 2002, Polonia Centre created a website for and about the Polish Community in Windsor. This website provides valuable information including the history, goals, achievements and upcoming events of all the Polish Organizations in Windsor with links to various sites of interest and may be viewed at www.poloniawindsor.ca. As we celebrate our 30th Anniversary, Polonia Centre (Windsor) Inc is determined to maintain our position as an integral member of the Polish Community of Windsor. 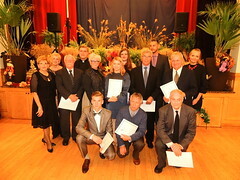 The Founding Members had a vision – past Board Members overcame enormous obstacles – we, the current Board of Directors and Committee Members will strive to keep the vision alive and will continue to provide cultural activities to our Polish Community and financial assistance to charitable, cultural and youth oriented activities well into the future.